4 yrs ago, Eng declared on 550 or so, batting first, and lost. 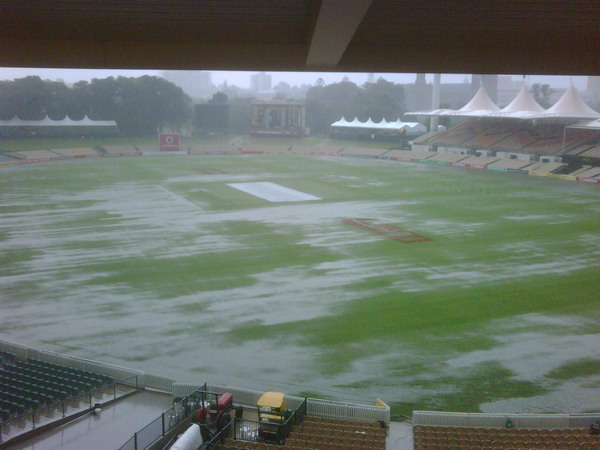 Adelaide is know to be a batting deck, and the draw will probably be 2.2 or so. I am accumulating a position, against Aus. Bollinger and Harris have been added to squad, as likely replacements for Johnson and ?? I now have a decent position against Aus, which I will post pics of later. Some weather forecasts have rain coming in for the last 2 days, especially on day 5. I am against Aus – and have backed the draw a little. Eve of 2nd day, Eng 290/2, after dismissing Aus for 245. Some rain may come in, Mon/Tues, and the pitch is really flat. I am against Aus, in all markets. End of rain affected day 3, and Aus cant win. I think Eng will, if they get 4 clear sessions at Aus. Am on morning of the last day – Aus 6 wkts left, 127 behind, with some rain about, but, probably clear till Tea. Think Eng will win, but 1.67 is really skinny. Test over, so quickly, I didnt have time to alter position (much), so will take these figs as final. This entry was posted in Ashes, Betfair and tagged Ashes. Bookmark the permalink.